After many years of volunteer work with Starlight Children's Foundation, Genevieve Piturro founded the Pajama Program, which has provided over 3 million pairs of new pajamas and new books to children, ranging from newborns to 17-year-olds, who are without parents and/or permanent homes. That's why I support this woman's work. 1) How did you come up with the idea for the Pajama Program? In 2000, I visited a shelter in New York City for children with no fathers and whose mothers were in prison. My intention was to read with them in the evening, after my workday. One night as I said goodbye to the children, I watched them go into a nearby room to sleep. They slowly climbed onto couches and futons. Some were crying, and the staff tried to comfort them and ease them onto a soft surface. There was no changing of their clothes, no bedtime stories, no hugs from moms or dads. I was paralyzed. This was not the way bedtime was supposed to be for a child. I waited for the staff to finish with the children and asked them if they needed pajamas. Could I bring some? I couldn't believe what the staff told me about the children who were brought to them every day and every night. The stories of abuse and neglect were horrifying and heartbreaking. I couldn't change what had happened to these children, but at least I could give them a pair of warm, clean pajamas. The next week, I brought 12 pairs of pajamas with me — one for each child I was told would be there. On the subway to work a few weeks later, I felt what I can only describe as a "raindrop" fall onto my head, and the words "Pajama Program" spoke loud and clear. It was at that moment I knew I had found my true purpose in life, and it drives me day and night. 2) How did you go about marketing One Million Good Nights, your recent two-year campaign to collect 1 million pairs of pajamas and 1 million books? A) We identified the problem: We were growing slowly, but at the same time, our waitlist of children was growing very quickly. It's been wonderful that word spreads about our work, but that also means more calls and letters were steadily coming in asking for pajamas and books for more groups of children in need all over the U.S. We share everything we have, and as the pajamas collected come in, we need to get them out, quickly. B) We came up with one solution to start with: We designed our One Million Good Nights campaign to help us meet our growing need. First, we engaged two major partners — Carter's as our lead partner and Scholastic as our book partner. Together, the three of us used our reach to engage individuals, other corporations, both nationally and locally, and to get the public at large involved. Pajama and book drives, small and large fundraising events, social media campaigns were all part of rallying America to help us help the children. 3) Pajama Program is incredibly inspiring. Who inspires you? A) My mother. My memories of her at my bedside every night inspired Pajama Program. I can't imagine what it would be like to grow up without a mom. What would life have been like for the four of us kids without our mom making our bologna school lunches or having dinner ready at our big round table? Who would have waited with us for the school bus on that windy, snowy corner or sewn our Girl Scout badges on? Mom tied our shoelaces, wiped our runny noses, made bacon and eggs on Saturday mornings, and let us sleep in her bed when we were sick. And at bedtime, she tucked us in and told us our favorite story — the one she made up about a little boy whose candy bar had a live peanut in it who squealed, "Don't eat me." I thought all children had a wonderful mom like mine. I fell asleep without a doubt that the next morning my mom would be there to start my day and everything would turn out OK.
B) I've met several individuals who lived in orphanages as children and shared their stories with me. They confided in me that they slept in their clothes for days on end, crying themselves to sleep, praying for their mother to return or asking for answers about why they were there. Each of them made a promise to themselves that they'd find a way out and find success and happiness. Actress Rosie Perez is one, and GiftCards.com's founder, Jason Wolfe, is another. 4) How can we practice everyday philanthropy/activism? At every opportunity to help, help. Even a little bit, like reaching into your pocket for a quarter to give to a person asking for money on the street, will feed the pay-it-forward action. You can pay for the person driving in the car behind you when you go through a toll, or you can buy a candy bar or lemonade from a child. The ripple effect is astounding. 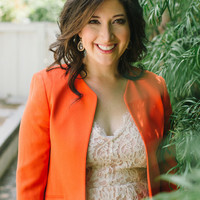 Randi Zuckerberg is the founder of Zuckerberg Media, a best-selling author and the host of a weekly business show on SiriusXM, "Dot Complicated." To find out more about Randi Zuckerberg and read features by other Creators Syndicate writers and cartoonists, visit the Creators Syndicate webpage at www.creators.com.